Watdajel Teaser 29 Maart Expo Feest from Jesus Portal on Vimeo. I have a couple of group shows coming. They both decided to make lil videos instea dof flyers, so here ya go!! The first one is a street art exhibition happening in Holland and the second one is one happening in Montreal, in support of Amnesty International. I've been working on some great new products these days and a couple came out this week. The first is my newest limited edition metal pin, "Lord Necio", which I had for sale on my ETSY, which flew!! 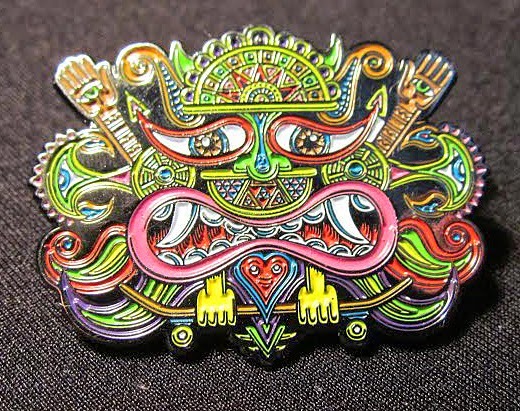 Im pretty much out of them, so if you want one you can grab em off The Headspace's website. 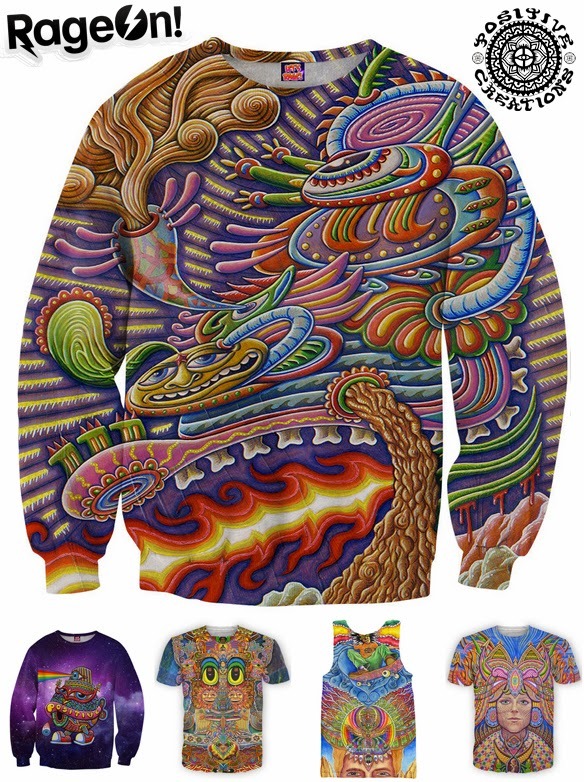 Then, a online store platform from Boston, called "Rage On" just released 8 of my designs sublimated on clothing (t-shirts, tank tops n sweatshirts). Pretty rad, you can go and hook yourself up HERE. 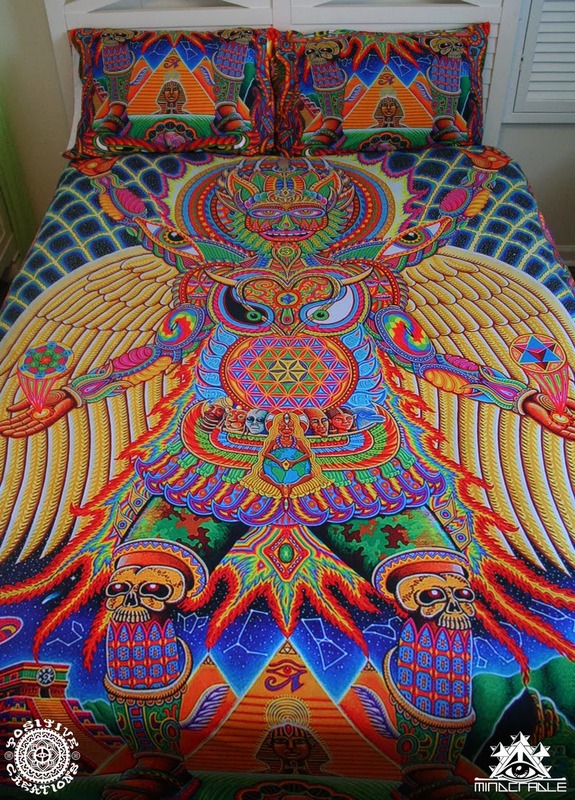 New Bed sets by Mind Cradle!! 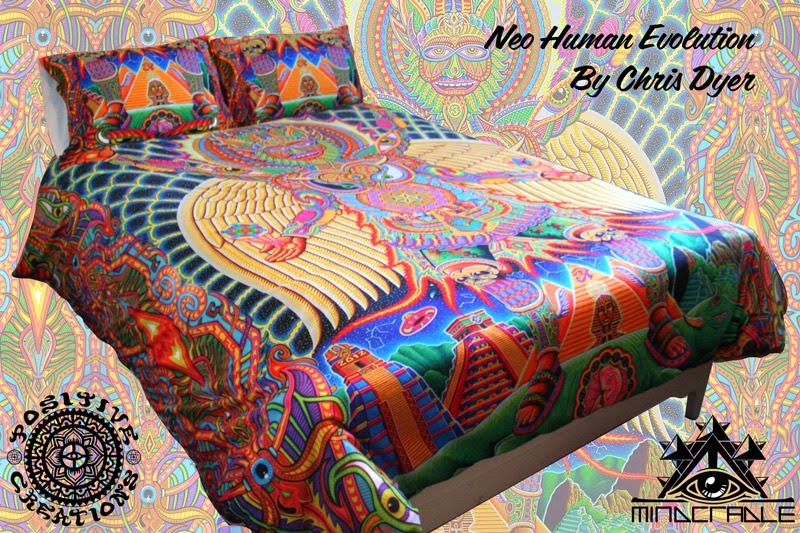 So this cool visionary brand in Atlanta called Mind Cradle just released bed sheets, pillow cases n full bed sets using my "Neo Human Evolution" image. Looks dope, eh? Go and buy yourself a set HERE!! Sk8 Face Documentary, Among legends!! SK8FACE CAST from DataBassTV on Vimeo. A new trailer just came out for SK8 FACE, an upcoming documentary about skate art. In this video you can see th emost epic line up of legendary skaters n artists, and in the middle of it all, looking real confiden? Me. Anyways, they have a kickstarter going on, wher eyou can pre-order a copy of the dvd n help make this happen. GO HERE. Chris Dyer / Graphic Impact / Micro Movie 22 of 35 from SK8FACE on Vimeo. 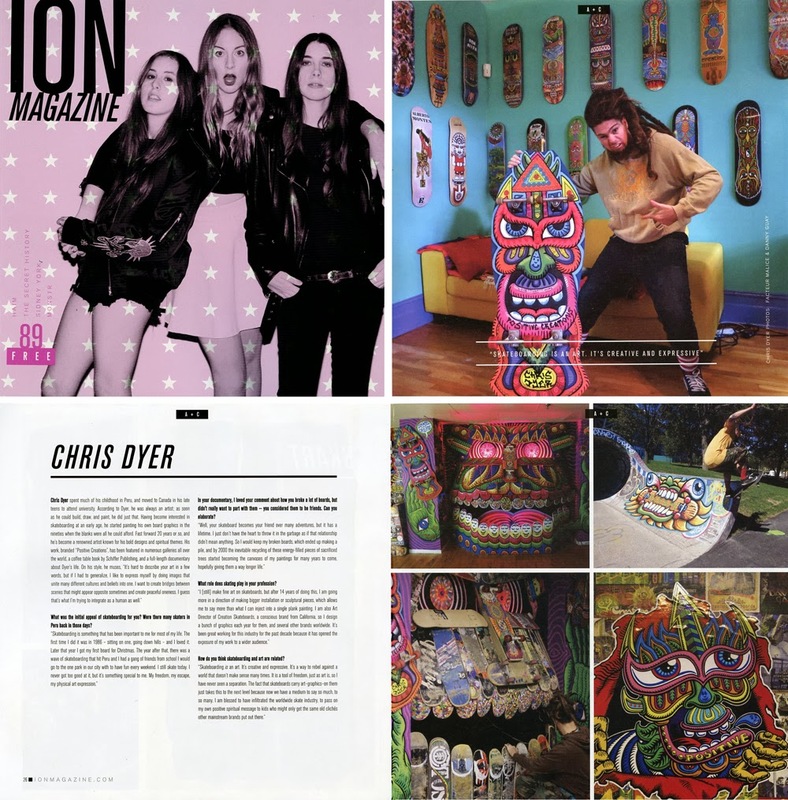 Ion is a hipster culture mag that is distributed for free in stores across Canada. I have a 3 page article in there about my skate art, so make sure to pick up a copy! !